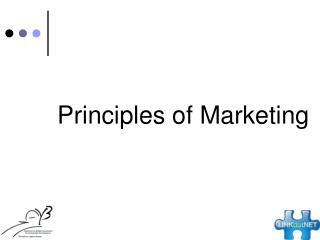 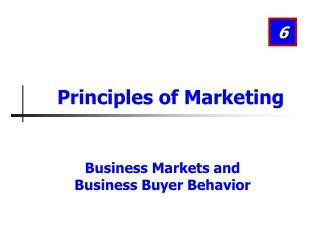 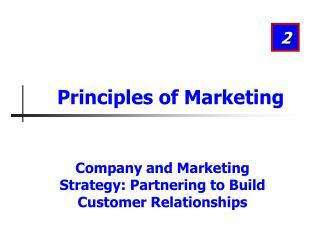 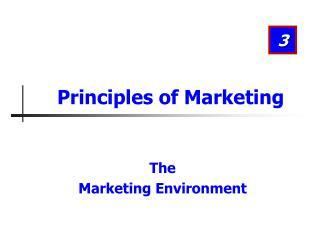 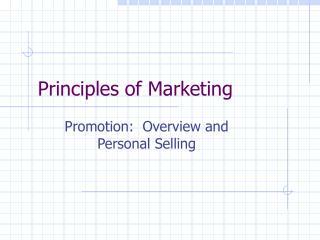 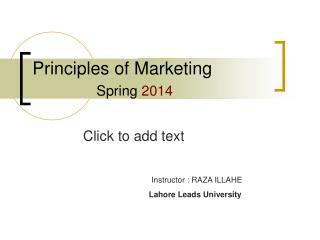 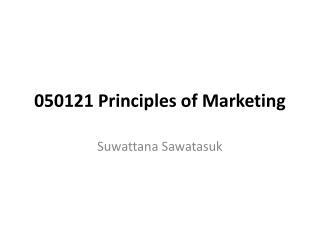 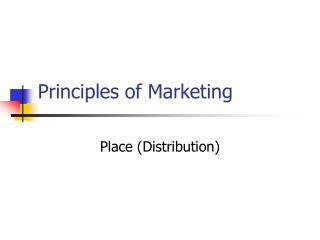 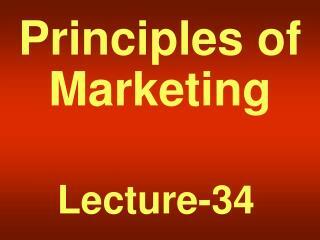 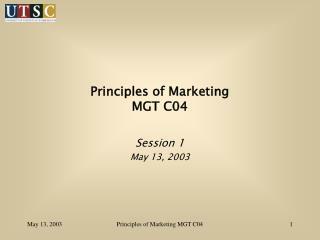 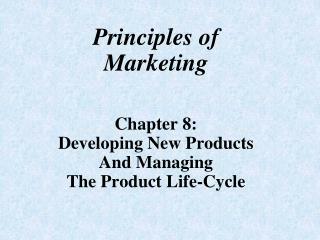 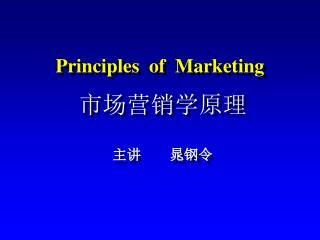 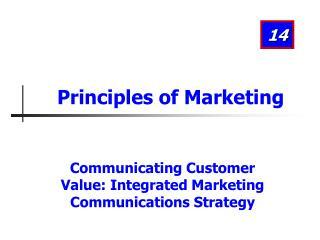 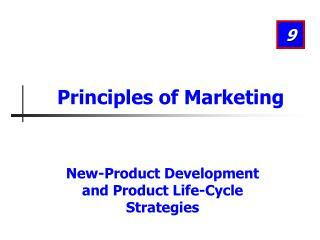 Principles of Marketing. 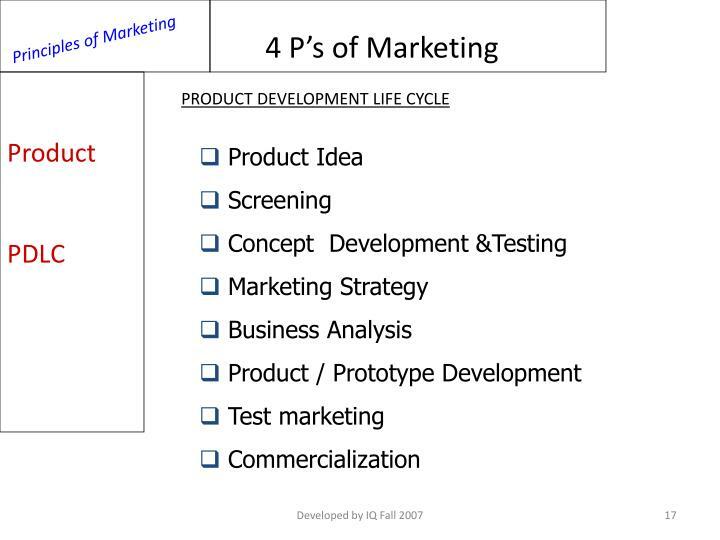 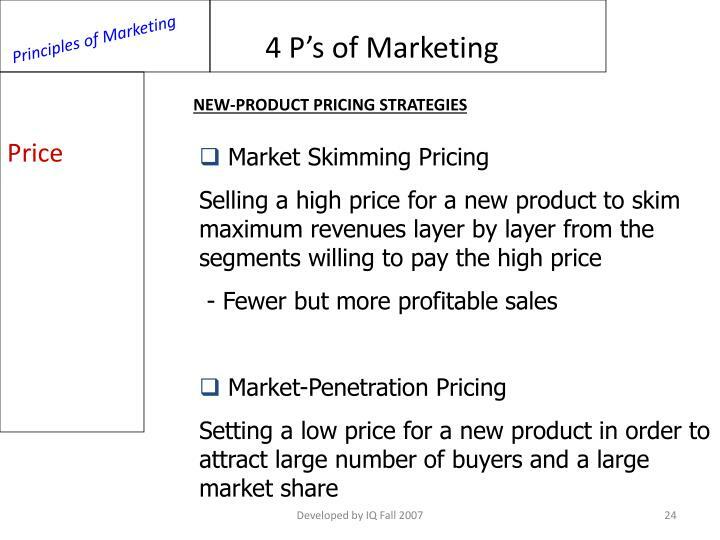 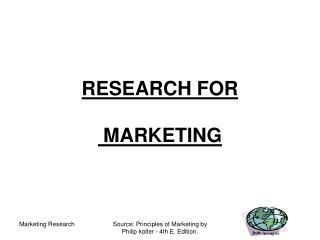 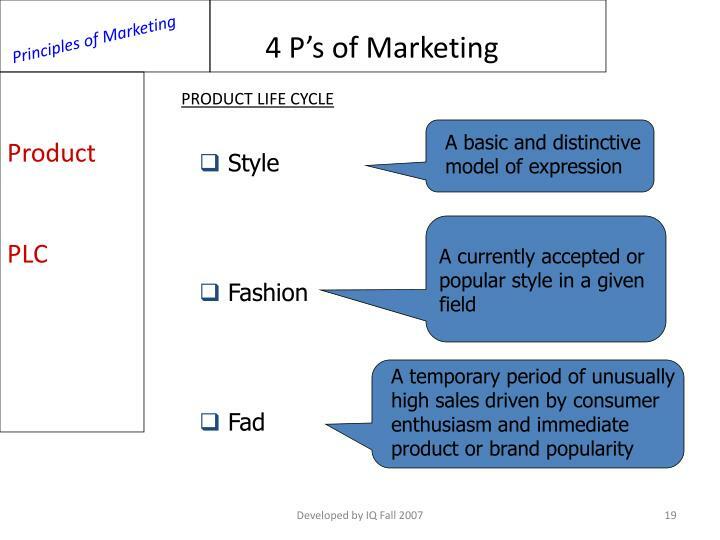 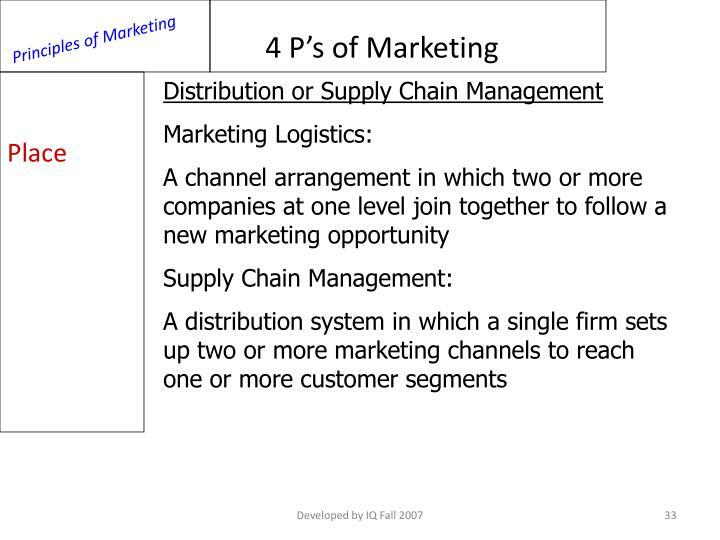 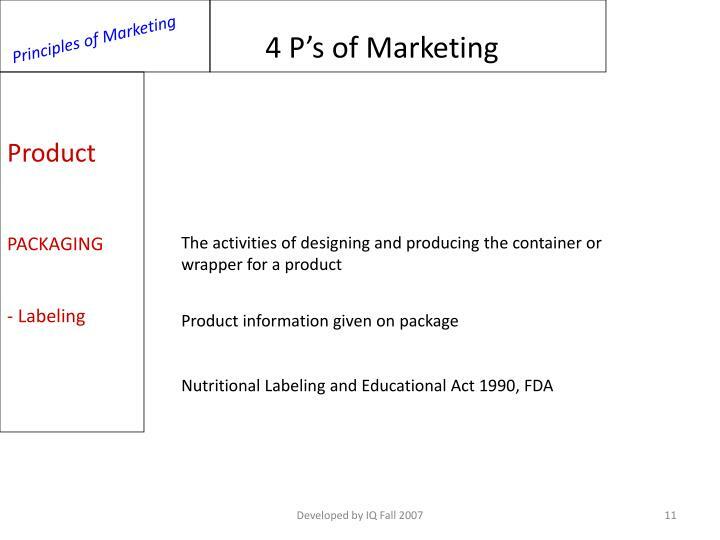 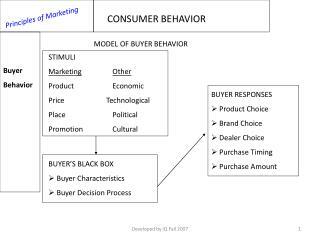 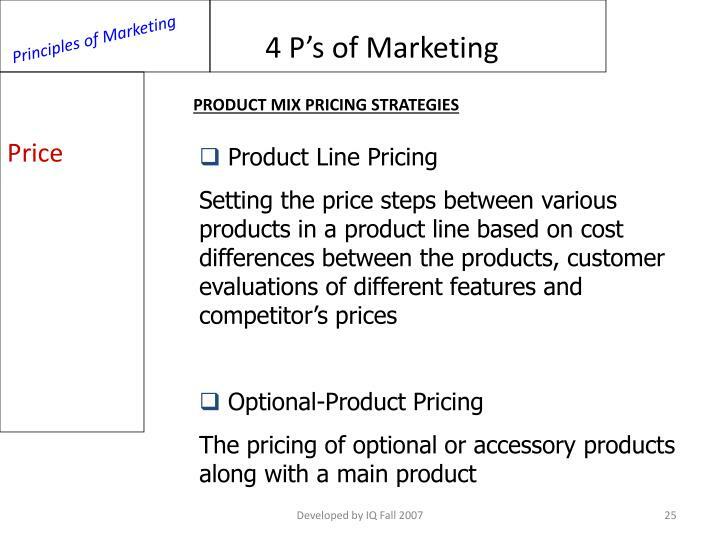 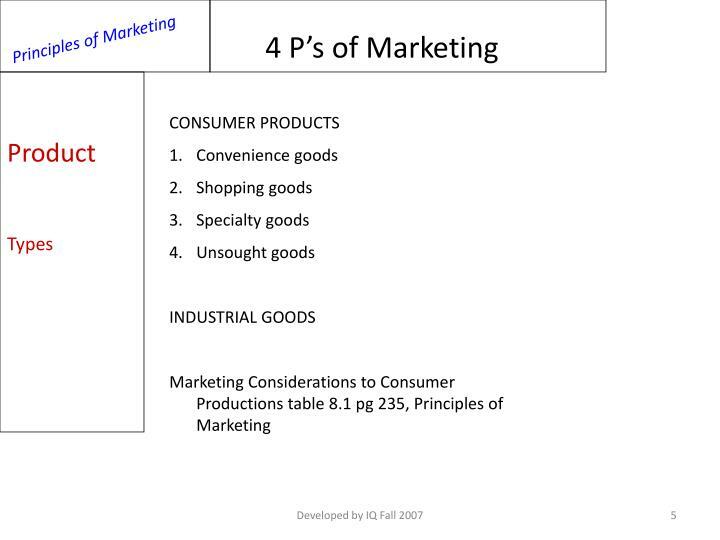 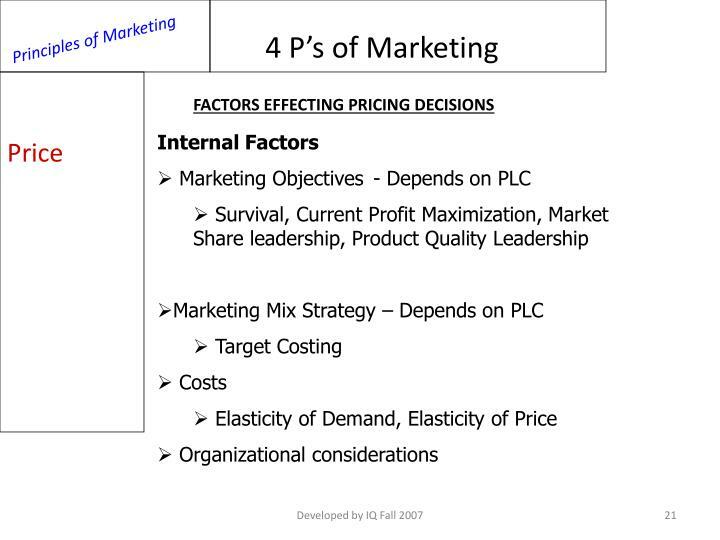 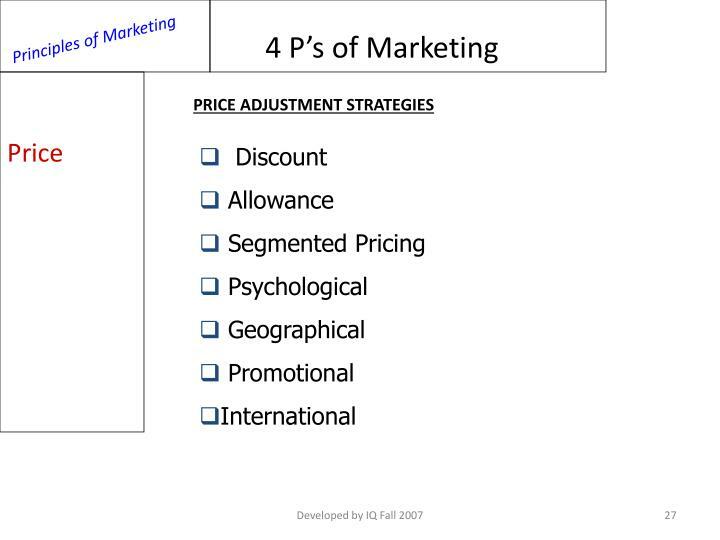 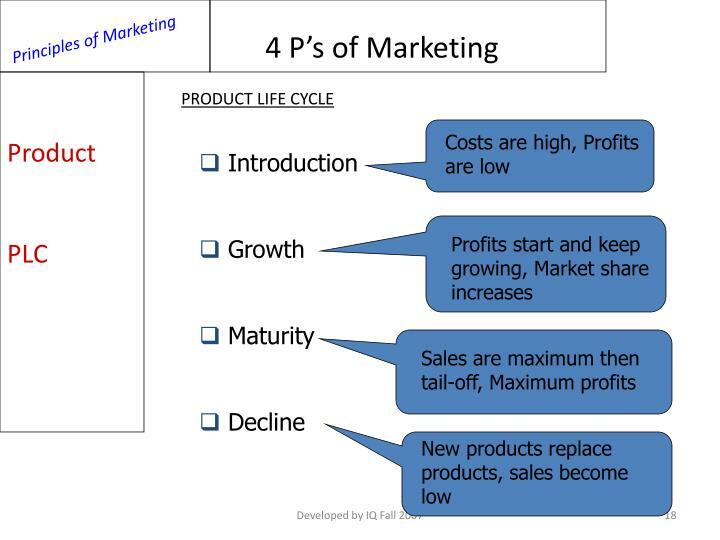 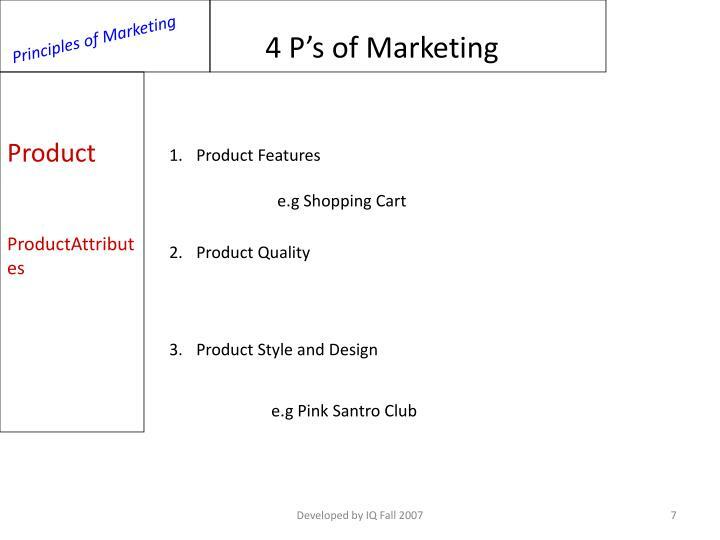 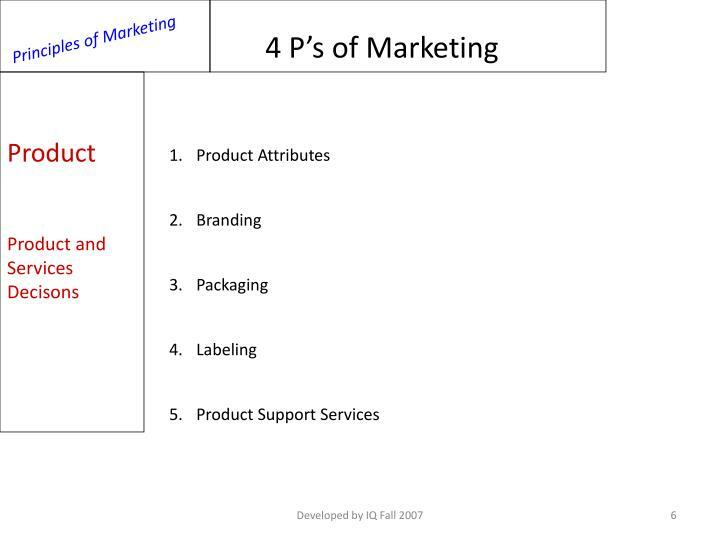 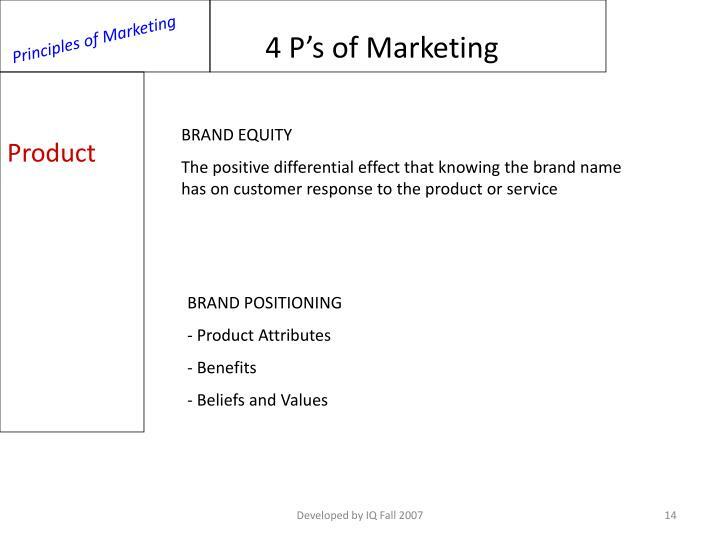 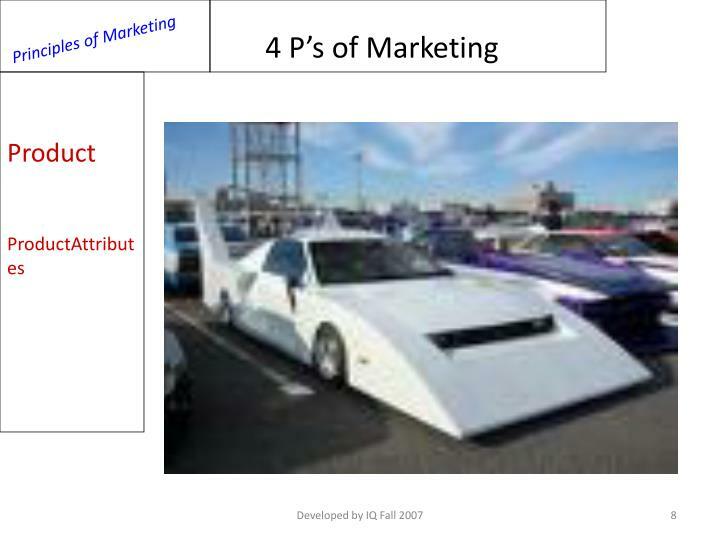 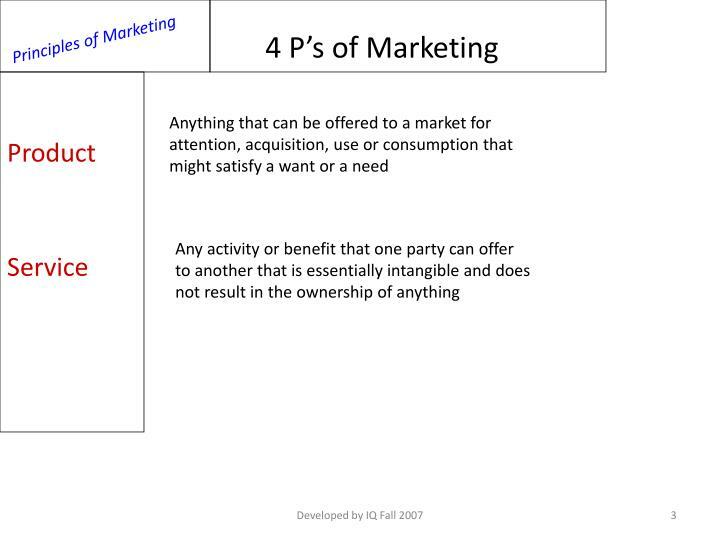 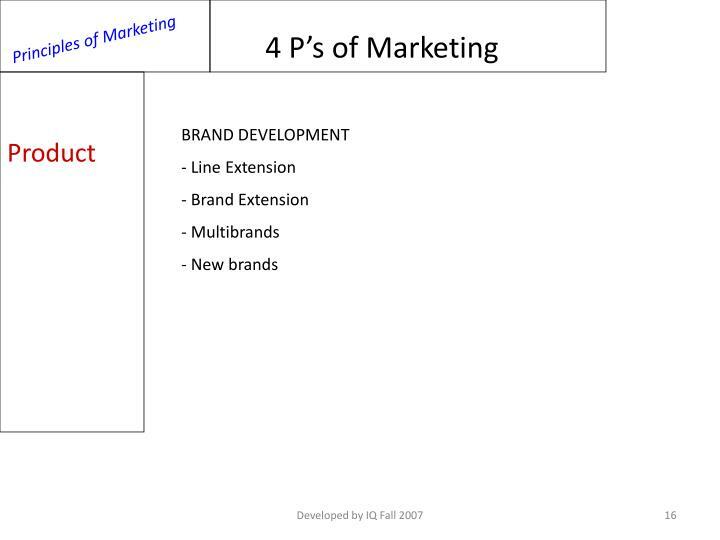 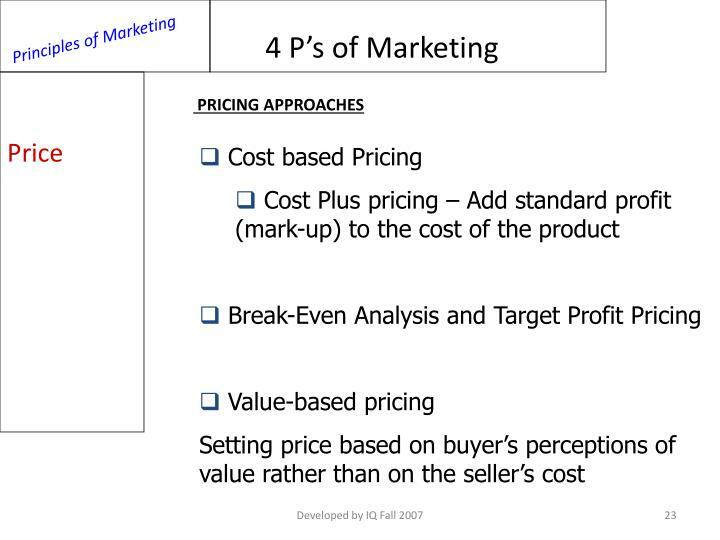 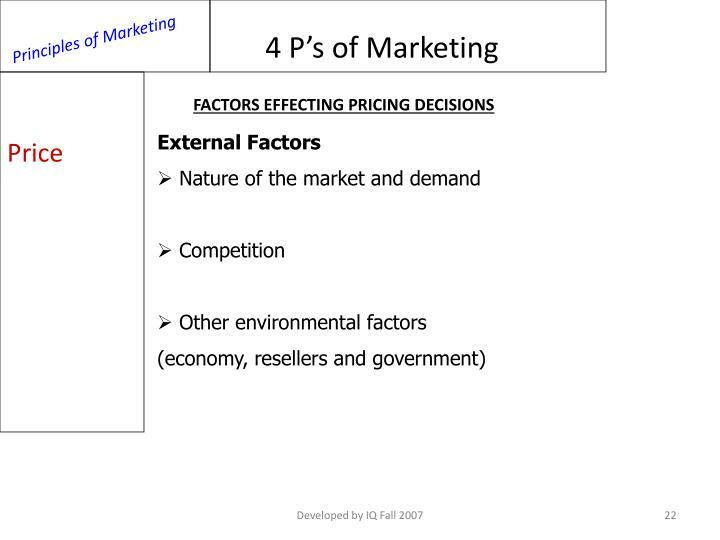 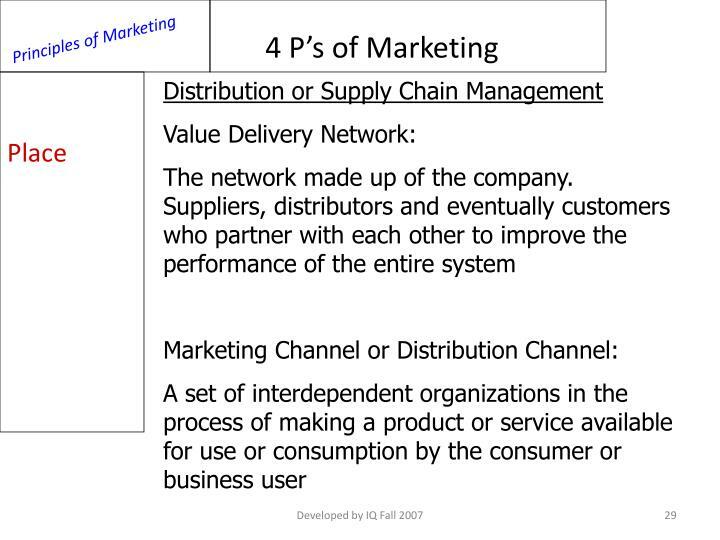 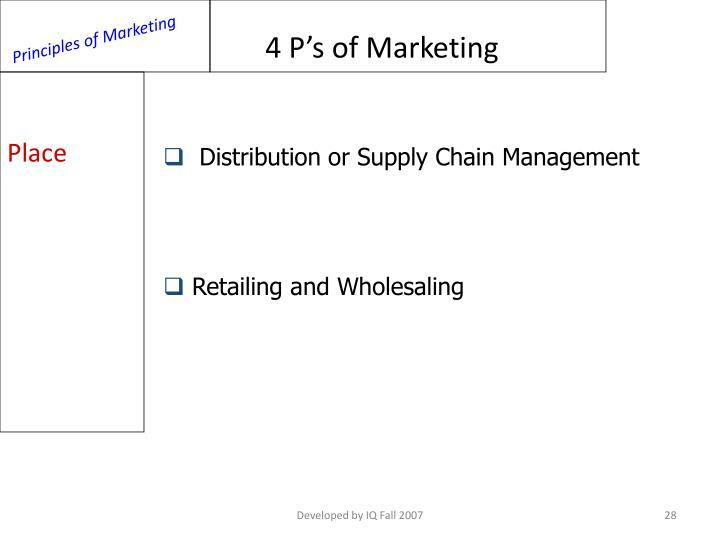 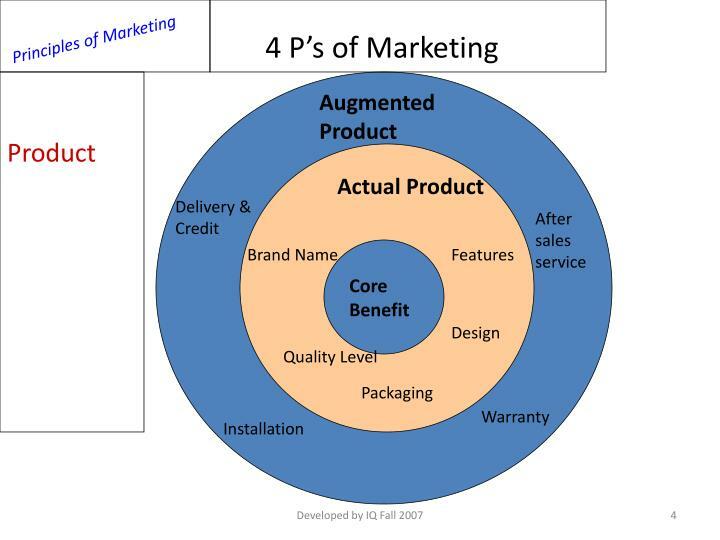 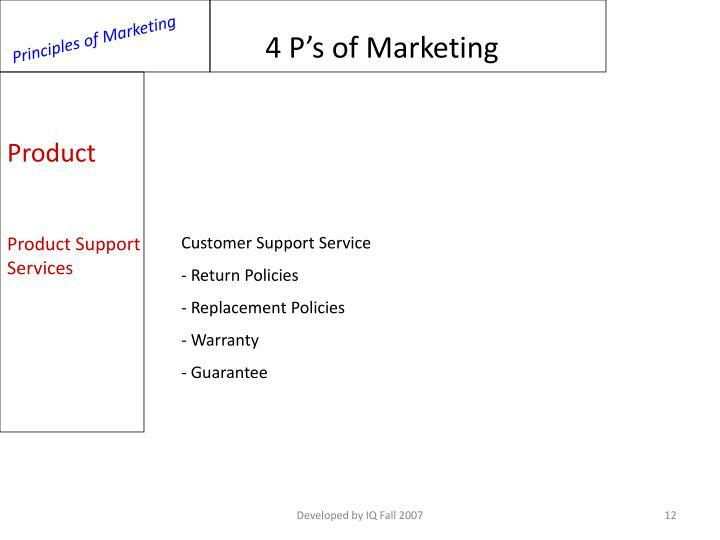 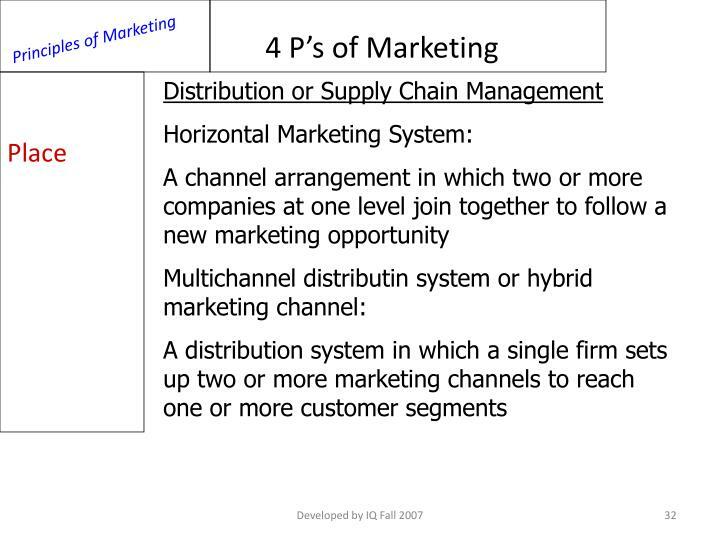 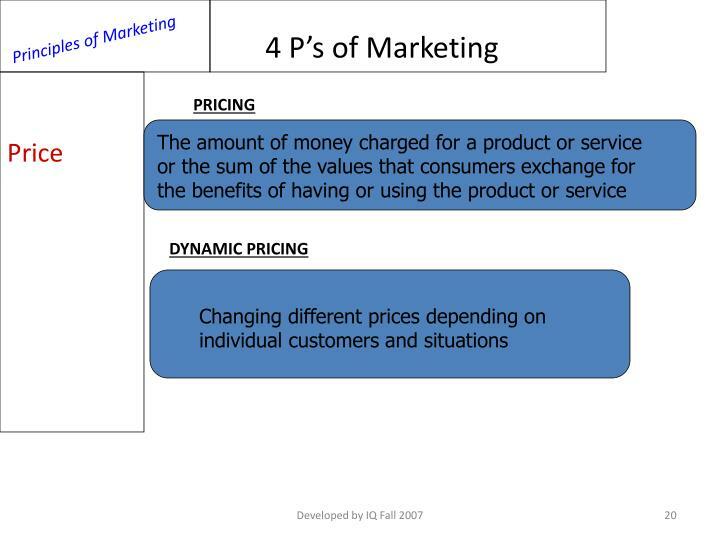 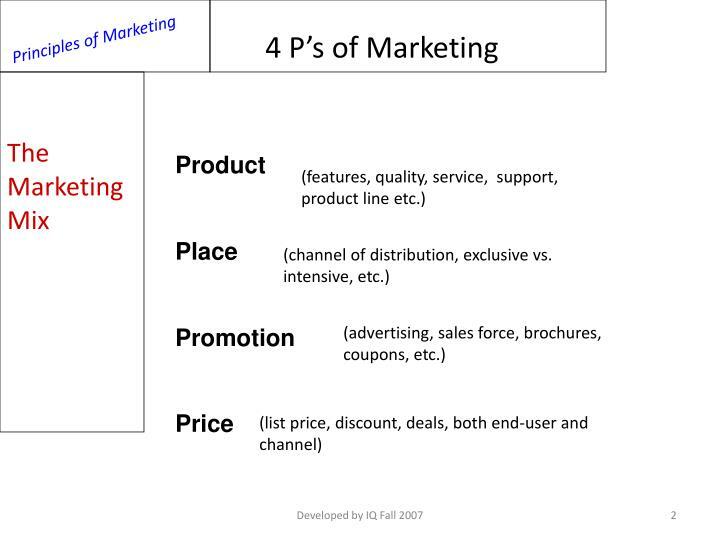 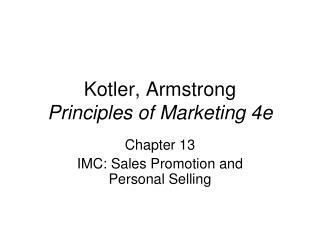 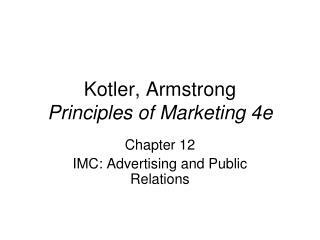 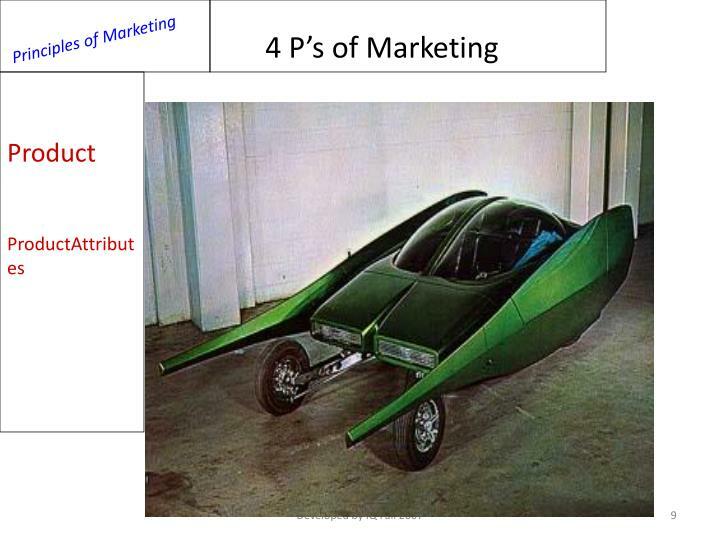 4 P’s of Marketing. 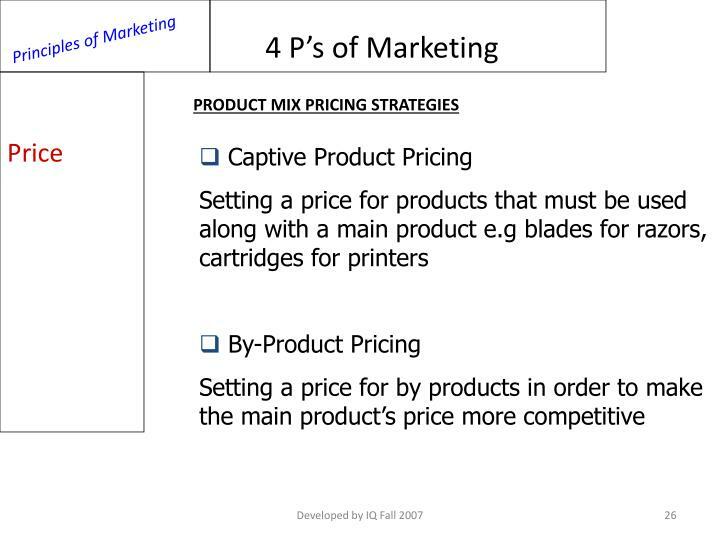 Product	Place Promotion Price. 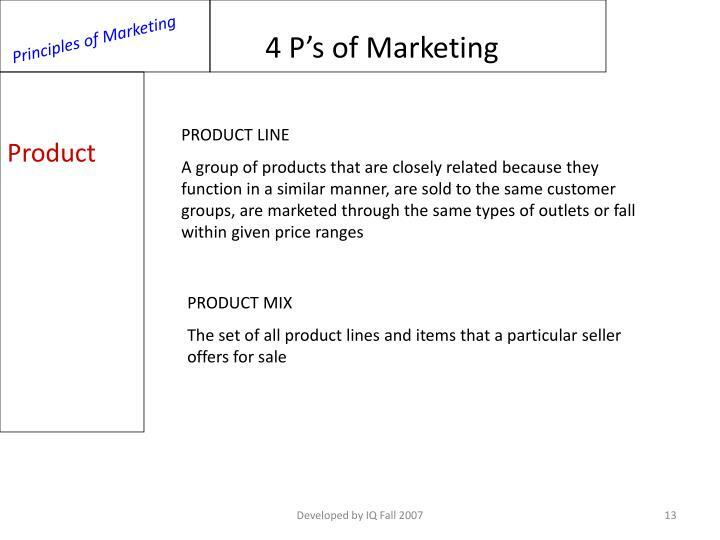 The Marketing Mix. 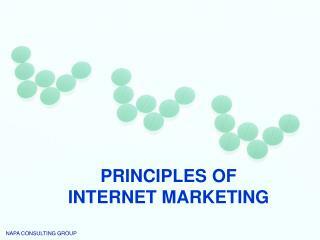 (features, quality, service, support, product line etc.). 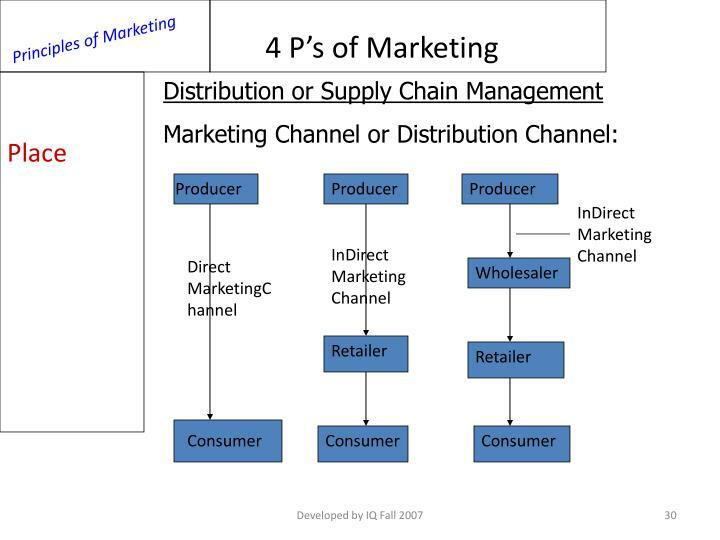 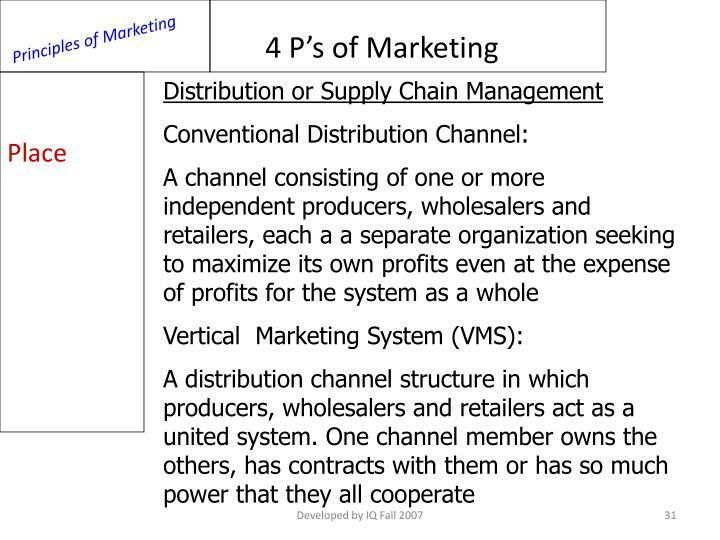 (channel of distribution, exclusive vs. intensive, etc.). 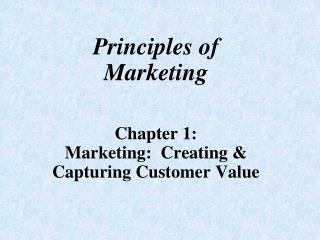 (advertising, sales force, brochures, coupons, etc.). 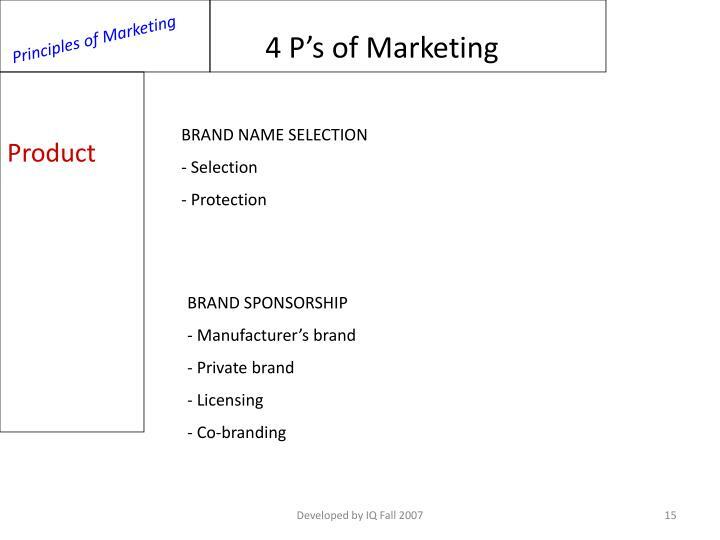 A name, term, sign, symbol or design. 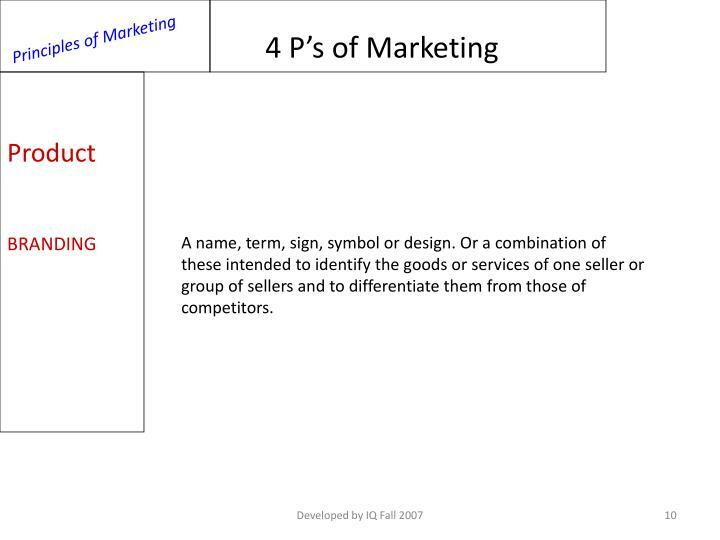 Or a combination of these intended to identify the goods or services of one seller or group of sellers and to differentiate them from those of competitors.